Enjoy the enduring beauty of the Library Lane collection by kate spade new york for years to come. 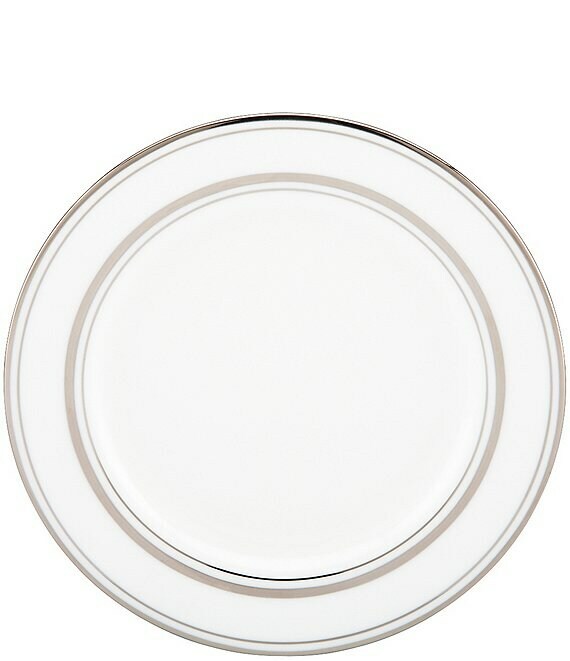 Simple platinum stripes highlight the exquisite sculpting of this bread and butter plate. Approx. 6.3". Dishwasher safe. Made in USA.